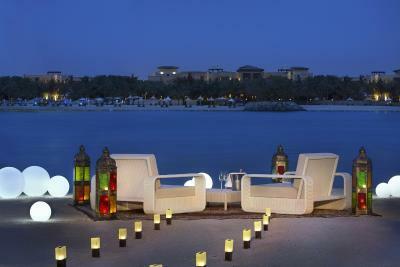 Lock in a great price for The Ritz-Carlton Abu Dhabi, Grand Canal – rated 8.5 by recent guests! The staff was super friendly and attentive. The room was spacious, clean and well furnished. Big balcony of the executive suit was huge and the view was nice. The room has all amenities you might need. 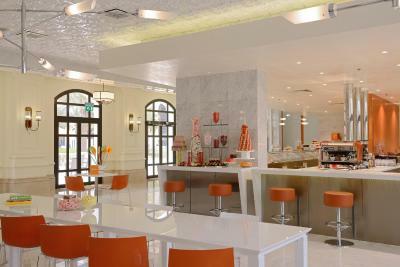 I liked everything in this hotel!! The service was amazing as well as the staff! The location was perfect and suitable! As I said, I liked everything in this hotel! Everything, and the fact that they found the AllBlacks game with Japan for us and let us into the sports bar at 8am on a sunday morning, turned on the TV, and then assigned us a waitress to bring us coffee, tea etc, anything we wanted, talk about going beyond expectations. Love the assortment of restaurants and bars, did not leave the complex it was perfect in every way, and the staff were exceptional. Everything. The people, the facility, the service, the environment. Everything! The staff is very friendly. The rooms are nice and clean and also very classic. 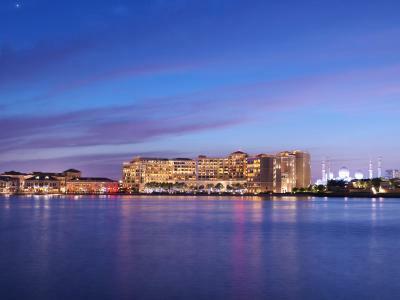 The Ritz-Carlton Abu Dhabi, Grand Canal This rating is a reflection of how the property compares to the industry standard when it comes to price, facilities and services available. It's based on a self-evaluation by the property. Use this rating to help choose your stay! Set amid the landscaped gardens with its private beach overlooking the Grand Canal, Ritz-Carlton Abu Dhabi is inspired by renaissance architecture. 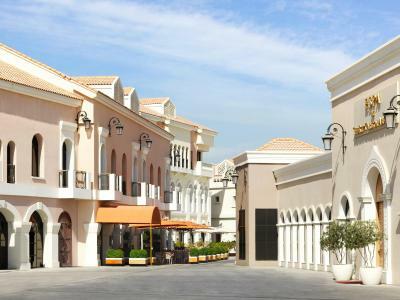 It offers an outdoor pool, a gym and 8 restaurants. All rooms open onto lush gardens with direct views of the pool, gardens or Grand Canal. Each room offers a satellite TV, a Nespresso machine, a mini-bar and ironing facilities. The villa includes a terrace and a spacious living room complete with dining area. 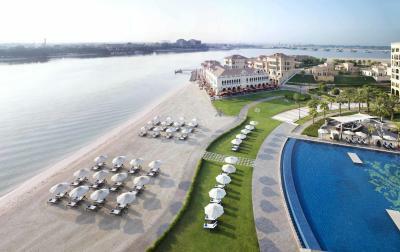 When would you like to stay at The Ritz-Carlton Abu Dhabi, Grand Canal? 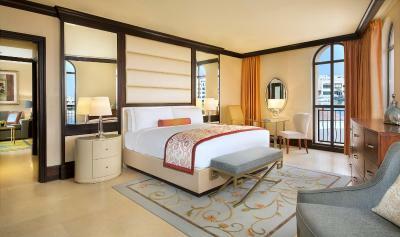 This air-conditioned room features a balcony overlooking the canal or the gardens. It includes 2 single beds or a double bed, satellite TV, a Nespresso machine and a minibar. Facilities include ironing, wardrobe and telephone. The bathroom has a bathtub, shower and free toiletries. Featuring a balcony overlooking the canal or the gardens, this air-conditioned room offers a satellite TV, a Nespresso machine and a mini-bar. The bathroom is fitted with a bath, shower and free toiletries. 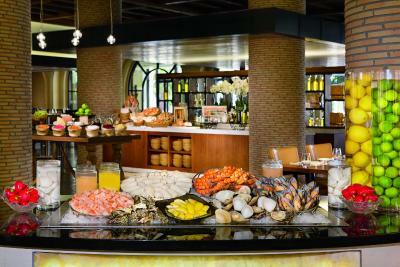 It also offers access to the exclusive Ritz-Carlton Club. Featuring a balcony overlooking the canal or the gardens, this air-conditioned suite has a living room with sofa, a satellite TV, a Nespresso machine and a minibar. Added facilities include a closet, an iron/ironing board and a DVD player. The bathroom is fitted with a bathtub, a shower and free toiletries. Featuring a balcony overlooking the canal or gardens, this air-conditioned suite has a living room with a sofa, a satellite TV, a Nespresso machine and a minibar. Added facilities include a closet, an iron/ironing board and DVD player. The bathroom is fitted with a bathtub, shower and free toiletries. 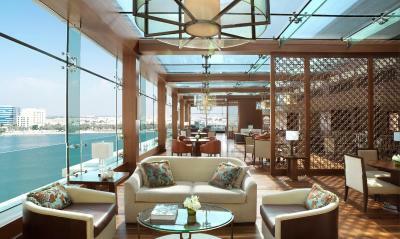 It also provides access to the exclusive Ritz-Carlton Club. 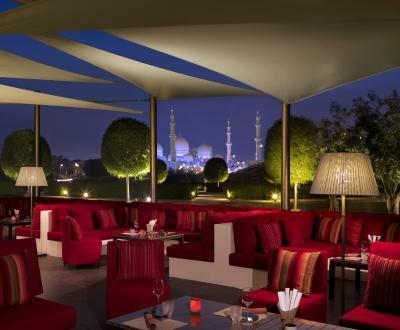 This elegantly decorated, air conditioned villa features a spacious terrace with panoramic views of the lush gardens or Sheikh Zayed Grand Mosque. It offers a separate living room and bedroom. The kitchenette includes a microwave. Facilities include minibar, wardrobe, ironing and satellite TV. The bathroom is fitted with bathtub, shower and free toiletries. This air-conditioned room features a balcony overlooking the canal. It has a satellite TV, a Nespresso machine and a minibar. Facilities include ironing, wardrobe and telephone. The bathroom has a bathtub, shower and free toiletries. It provides access to the Club Lounge. 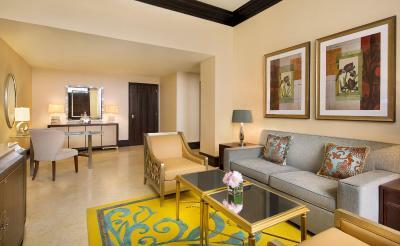 Located on top floors, this extra spacious, air-conditioned suite offers a balcony overlooking the canal. It includes a living room, dining and kitchen. Facilities include a flat-screen TV, mini-bar, Nespresso machine and safety deposit box. The bathroom offers a bath, shower, slippers and hairdryers. 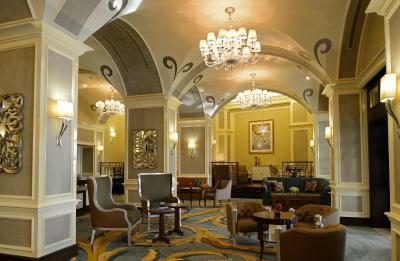 Access to Ritz-Carlton Club is also available. Featuring a balcony, this suite has access to the Club Lounge access. This spacious two-bedroom villa features private bathrooms, a separate living room area, a private plunge pool and an adjacent lawn and garden area. 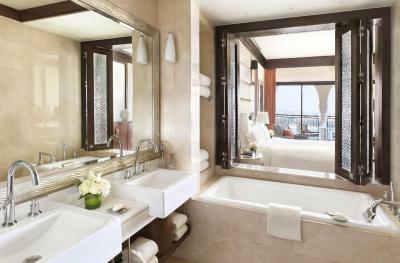 Located within the multi-level Venetian Village complex, this suite features a mini-bar, air conditioning and bathrobe. 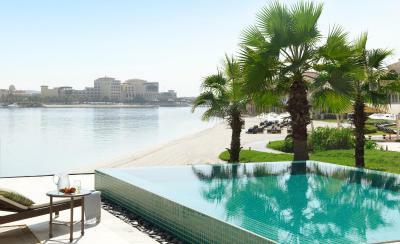 It includes easy access to the beach, pool and main building. 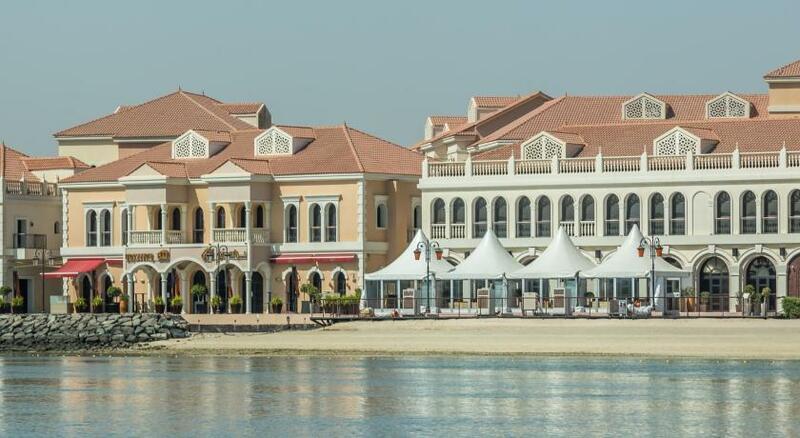 The delicate scent of Moroccan rose welcomes guests, leading them to explore our 57-acre waterfront hotel, where artfully designed water features, manicured gardens and Venetian architecture create a luxury oasis in the midst of the Abu Dhabi desert. 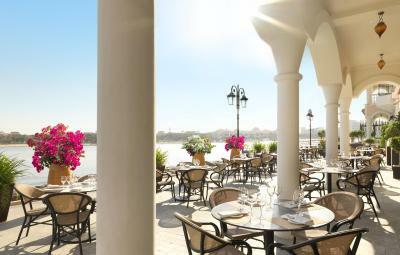 House Rules The Ritz-Carlton Abu Dhabi, Grand Canal takes special requests – add in the next step! One child under 12 years is charged AED 37 per night when using existing beds. 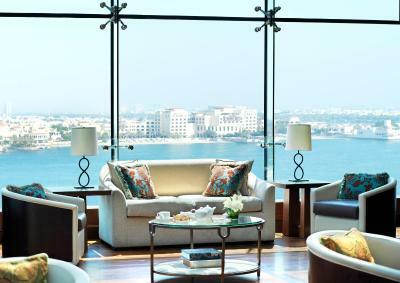 The Ritz-Carlton Abu Dhabi, Grand Canal accepts these cards and reserves the right to temporarily hold an amount prior to arrival. The room service good wasn't to my expectation. 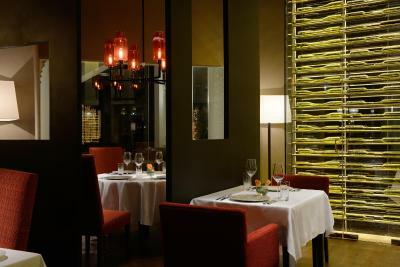 Usually a 5 Star hotel invests in the quality of food in the room dining option. The Alarm sound sometimes sound due to shisha which is annoying. The balcony, outdoor furniture and windows were never cleaned during our stay. The garden was dirty and untidy. The buffet was incredibly noisy and the playes were empty. The fire alarm rang several times during the night for no reason (confirmed bu the staff). we stayed in the hotel with our little baby and it was a nightmare. Customer service was too bad. Staff were not helpful at all I asked for late check out they asked me to pay! 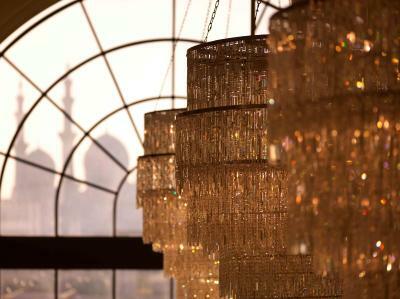 Other than being close to the Grand Mosque, with some beautiful views, there was absolutely nothing nearby. You were a captive market for their restaurants and they were priced accordingly.